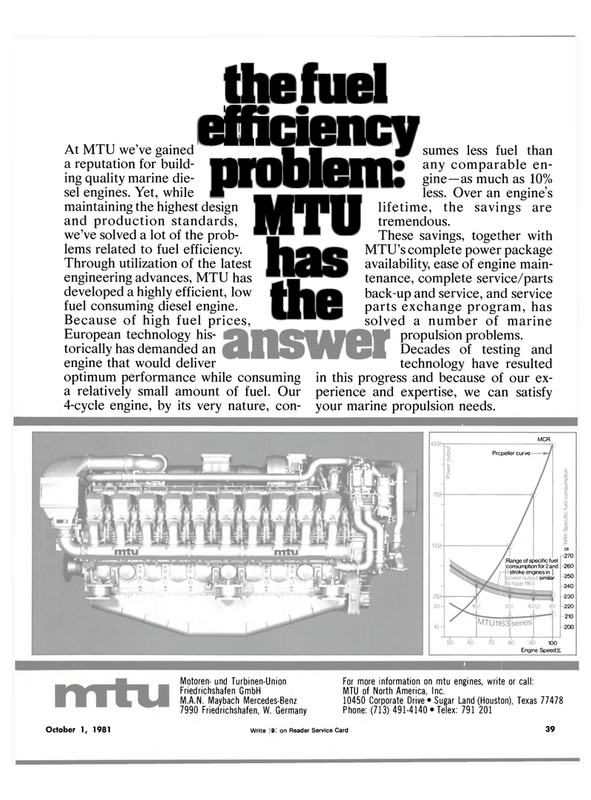 At MTU we've gained a reputation for build- ing quality marine die- sel engines. Yet, while maintaining the highest design and production standards, we've solved a lot of the prob- lems related to fuel efficiency. Decades of testing and technology have resulted optimum performance while consuming in this progress and because of our ex- a relatively small amount of fuel. Our perience and expertise, we can satisfy 4-cycle engine, by its very nature, con- your marine propulsion needs. Germany Turbinen-Union Friedrichshafen GmbH MTU of North America Inc.